After being unable to fulfil a second league fixture, Parma are in grave danger of being kicked out of Serie A. If anyone had any doubts about the (at least partial) responsibility of Italy’s football authorities for the current crisis afflicting bankruptcy threatened Parma FC, they would do well to consider the words spoken on Monday morning on Italian national radio by Maurizio Beretta, President of the Lega Serie A. Asked about a crisis which could yet see Parma immediately thrown out of Serie A, Beretta said: “The Lega and the Federation are not responsible for this [the Parma crisis]: there are rules and there are federal bodies which stipulate control periods, successive decisions and even fines during the season. All of which would sound reasonable, were it not for the fact that it was the Football Federation (FIGC) itself which refused Parma a UEFA licence “due to financial irregularities” last May. That decision cost Parma their place in this season’s Europa League in which they were replaced by Torino, who qualified for the last 16 of the tournament when beating Athletic Bilbao 3-2 away in midweek. The Federation ruled then that, given that Parma had not paid approximately 300,000 euros of income tax owed on Parma players out on loan to other clubs, they were not entitled to a UEFA licence. At the time, Parma argued that the Federations’s ruling was unfair since Parma had been helping the other clubs pay the wages of the Parma players out on loan. Nonetheless, an outside observer might conclude that, if nothing else, the decision to deny Parma their place in the Europa League for economic reasons sounded an alarm bell about the club’s financial well-being. The Federation is now scheduled to meet on Friday for a critical “Assembly” which will consider the Parma situation in the light of the fact that for the second time on successive weekends, Parma on Sunday failed to honour their Serie A fixture commitments when opting out of their away game against Genoa. Last week, the club pulled out of its home game with Udinese. As the season-long crisis drags on, there must now be the very real possibility that Parma will be forcibly expelled from Serie A within the next two weeks. Federation rules stipulate that a professional side which fails to present itself for four consecutive games will be immediately expelled and then relegated to amateur ranks. Friday’s Federation meeting is likely to be problematic since several clubs are uneasy about the cost of any joint Federation and Lega rescue plan which would see the club through to the end of the season in Serie A, in the event of Parma being declared bankrupt in a court hearing on March 19. Furthermore, some of the clubs may want to know how it was possible that Parma twice this season has changed hands for the symbolic price of 1 euro. “There are no precedents in Italian football history for the Parma collapse.The problem is that today the requirements and the purchase threshold for a football club [in Italy] are equivalent to those needed to buy a market stall,” commented sports lawyer, Mattia Grassani on Italian radio on Monday morning. Have Inter changed tack with regard to their desire for a new stadium? Basic business logic argues that a new stadium is one of the primary priorities for the new Inter ownership, headed by Indonesian tycoon, Erick Thohir. To do this, Inter have always appeared to have two principle options – (1) build their own new stadium or (2) seriously rennovate the Meazza (San Siro) stadium with or without the help of city cousins, Milan. 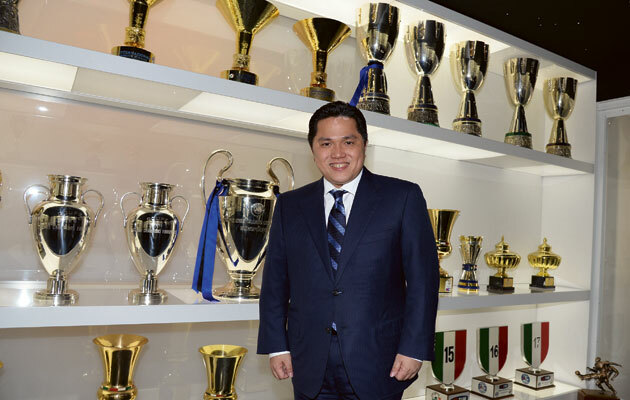 Tycoon Thohir, in Milan this weekend for Inter’s disappointing 1-0 home loss to Fiorentina on Sunday night, met with Milan city mayor, Giuliano Pisapia, last Saturday. After the meeting, the City Council issued a communique which suggested that for the time being, Inter have opted to stay at the Mezza, investing in the stadium: “Mr Thohir confirmed that it was his intention to invest energy and resources in the Meazza. The idea is to continue the ongoing process of renovation and modernisation of the stadim whilst safeguarding those characteristics which have made it one of world football’s great temples”, read the City Council statement. Given that Milan, early last month presented their plans for a futuristic new £240million pound stadium, situated in central Portello just four kilometres from San Siro, then it may be that Inter will develop the Meazza on their own. The two Milan giants have shared the use of the city-owned Meazza since the 1940s, whilst the current “rent” of the ground is approx. £7million sterling per annum. 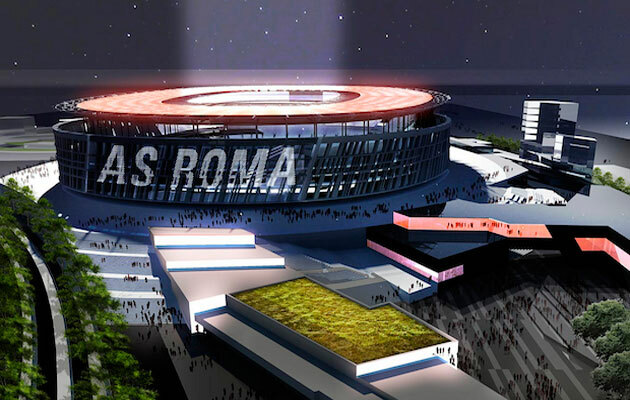 Talk of a new stadium was also on the mind of Roma’s American president James Pallotta, in town this weekend for Monday’s top-of-the-table clash with league leaders and champions Juventus. Roma, too, have plans for a futuristic new stadium sited at the old trotting track of Tor di Valle. As understatements go, that is not a bad one. We have said it before, but it is worth repeating. 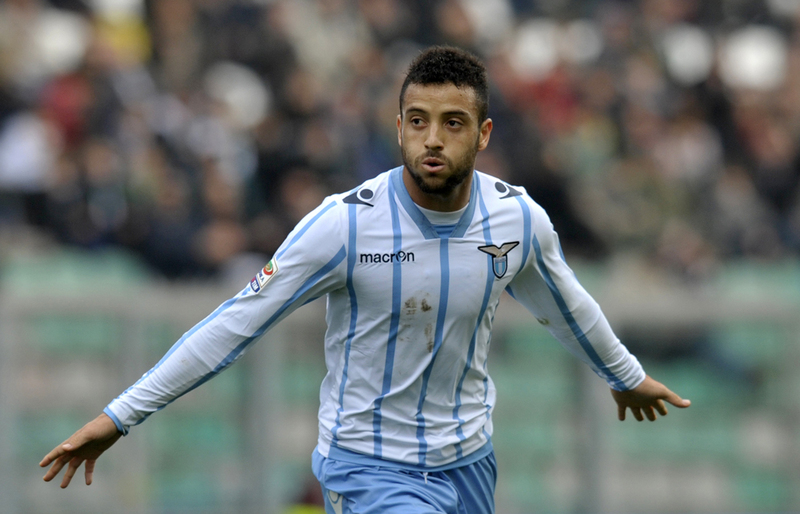 Lazio’s 21-year-old attacking midfielder, Brazilian Felipe Anderson, is just about the biggest revelation of this Serie A season. Back from injury, he was at it again in Lazio’s 3-0 away win against Sassuolo on Sunday, opening the scoring with a “cracker” from outside the area and setting up Lazio’s second goal scored by German Miroslav Klose. For the record, Lazio are now fourth in the table, just two points behind Napoli who disappointed in a 1-0 away loss to Torino.